Length:13cm weigh: 24.5g Metal housing Designed with a protective metal case with a pocket clip and lanyard ring Durable enough for stream, brook., and river fly fishing. 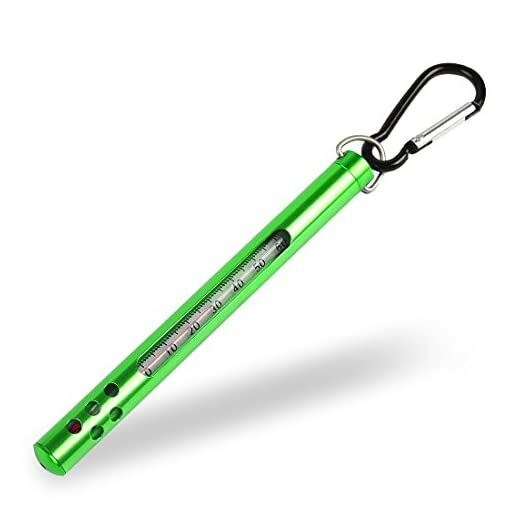 An important fly fishing tool and a must have accessory for any fly fisher This stream fly fishing thermometer is a great way to avoid the hapless trial and error fishing approach many anglers take due to the lack of water temperature knowledge . Durable enough for stream, brook., and river fly fishing. This stream fly fishing thermometer is a great way to avoid the hapless trial and error fishing approach many anglers take due to the lack of water temperature knowledge .